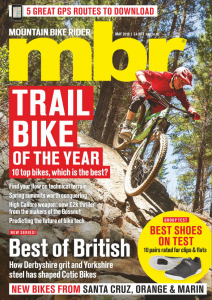 Here are our top picked Instabangers from the last week in the world of mountain biking. Introducing the second instalment of a weekly series of the best, funniest and most interesting pics we’ve seen on Instagram in the past seven days. Here’s last week’s Instagram round-up. 1. Every ‘tog and his dog are currently over in South America it seems. Here’s a great silhouette shot from Gary Perkin taken before he headed down to the Andes Pacifico enduro to shoot people. 2. Helmetcam footage never looks as fast as it was in real life does it? If that’s the case, HOW fast is Curtis Keene going here?! 4. Instagram and cute dogs. A match made in heaven. Okay so there’s no bike or trail in this photo. But it is taken by arguably the best all-round biker who ever lived – Anne Caroline Chausson – so we reckon it’s a viable inclusion here. Besides, cute dog. 5. Coed-y-Brenin was the very first trail centre… ever. Pretty much. If you’ve been there this decade then you really should book yourself a trip back. It’s been revamped in recent years and is clawing its way back up the popular charts of people’s favourite trail centre. 6. Everyone loves a good cut-away don’t they? Here’s a pair of hands from Evans Cycles holding a display of what’s inside Shimano’s STEPS e-bike motor. 7. Last week Bristol, this week Madeira, Jacob Gibbins’ Instagram account is well worth a follow if you want a glimpse into the hectic and travel-packed life of a bike photographer. 8. Speaking of the Andes Pacifico enduro, here’s a gorgeous pic from Tracy Moseley‘s Instagram account (taken by Sam Needham) of Tracy’s training and prep for the South American event. 9. For when you are absolutely dead-set against riding drop handlebars. Respect to the broom handle! 10. Another helmetcam vid that makes you grin then wince then gasp and then grin again. PEE-YOW! Wee sneak peek of this weekend race track for nz DH at @christchurchprk if your in town come check it out it's going to be wild. 11. Sorry for the Andes again. But there’s no denying the spectacularly photogenic backdrop that this race has. Just look at this pic from Ibis Cycles – it looks like something from a medieval pre-battle scene! 12. How can this not end up with a crash? Well, because that rider is Nico Vink and he can pretty much do anything. Taken from the much-anticipated Death Grip film. 13. This is the weekly trail-without-a-rider photo. What do you reckon? Nice innit? 14. Golden brown. Texture like sun. Lovely shot from Sim Mainey that’s indicative of his feature in the new issue of mbr all about the delights of Shropshire and Eastridge. 15. Andreu Lacondeguy‘s new bike. Look closely. No front brake. Lunatic. Bless him. 16. We are nothing if not shameless. 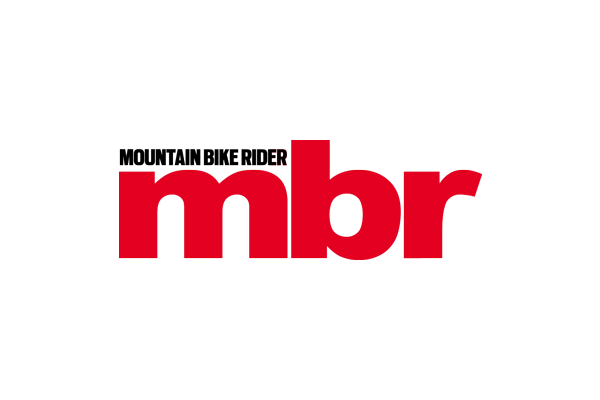 New issue of mbr just came out. Bung it in your basket and have a flick. Cheers! That’s all the Instabangers for this week. We hope you enjoyed our roundup. See you next week for inspiring and amusing piccies.